What a ludicrous title. I can’t say its original title, which translates out to Operation Fear was any better. Neither works very well for a 19th century ghost story. 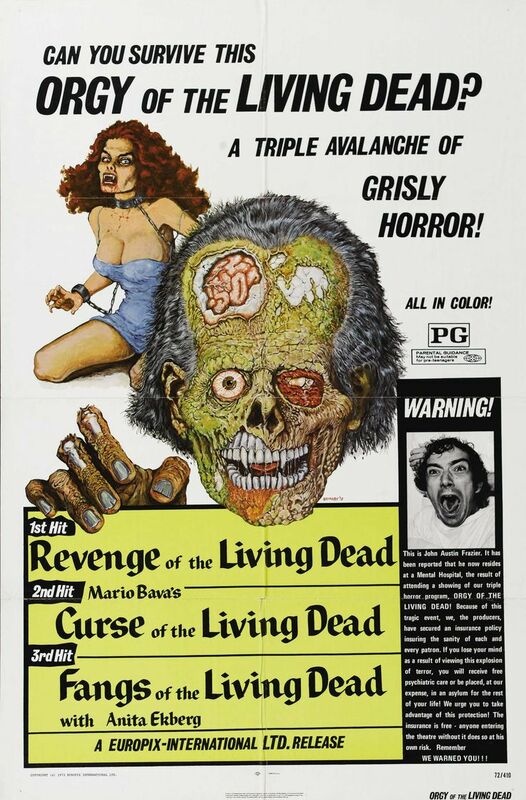 Probably the most appropriate of its many alternate titles is Curse of the Living Dead. Still. It’s bizarre how a little something like that can turn me against a movie so many people revere. Into your typical spooky 19th century Carpathian village strides Dr. Paul Eswai (Giacomo Rossi Stuart). He strides because, as is traditional with spooky 19th century Carpathian villages, the carriage driver refuses to take him into the village gates. There’s the usual superstitious peering through windows as he passes. Eswai is there at the request of Inspector Kruger (Piero Lulli) to act as coroner in the death of a young lady before the opening credits. She was seriously frightened, and felt compelled to impale herself on an iron fence. Kruger is ranting and raving about superstitious villagers – he even stops the hasty burial of the girl so Eswai can perform his autopsy, assisted by Monica (Erika Blanc, playing the ingenue for a change), a local girl who recently returned to the village from college. What Eswai finds is a silver coin actually inside the girl’s heart. There is a whole lot of superstition roaming about so Eswai can tut tut at it. There’s the ghost of a little girl, and whoever sees her has a habit of dying violently (spooky 19th century Carpathian villages hold a plethora of spiky, edged decorations just waiting for someone to be cursed by a vengeful little ghost). This is all tied to the local Baroness, and the tragic death of her daughter, but whoever ventures to her house is doomed, so it’s going to take an entire movie to tease that out. There is also a sorceress (Fabienne Dali’) in the village trying to thwart the ghost, but Eswai, of course, is going to undo all her witchy poppycock and get at least one person killed doing it. Take that, science! You’re not helping! The movie’s more than a bit of a mess, with at least one prime scare built up to but not exploited, likely due to the producers running out of money two weeks into the shoot. The best move those idiots made was hiring Mario Bava as director, though. The atmospherics are cranked up to 11, as is the color saturation. I was watching an older DVD (I think it was given to me by a friend ages ago, and a sales receipt tucked inside bears a date of August, 2001) with a grainy image and – horrors! – a 4:3 picture. TV print, probably, and it still couldn’t kill Bava’s imagery, especially the final scenes, where things get downright hallucinatory. Bava and the actors finished the movie without pay, which was darned generous of them. And if the final act feels somewhat… rushed, shall we say… there are some impressively pretty pictures. And one sequence involving a repeating room that really makes me smile. The pity is the script had a bit of novelty going for it – novelty that got squashed by the producer’s financial problems. It is a small miracle it’s as watchable as it is. I recall Video Watchdog had a typically comprehensive story on the trials of making this movie and its many, many versions, but I hadn’t seen it yet, so there was little in the article to relate to, and nothing stuck in my memory. I lost most of my VW collection in Hurricane Ike, so I can’t check on that. Well, I could, their entire run is available digitally, I just don’t have the time. 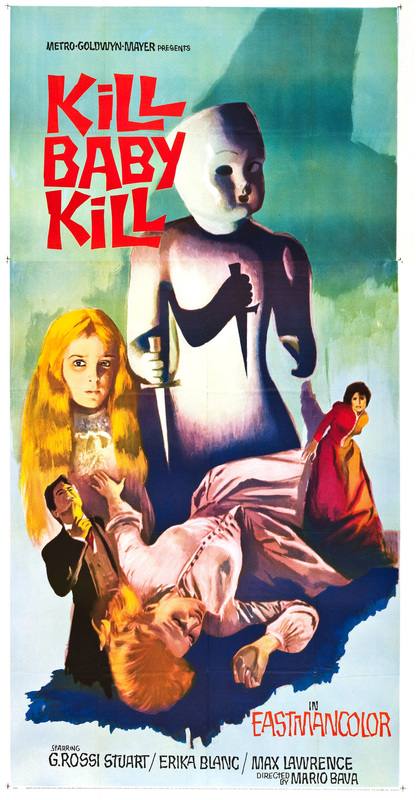 So you’re stuck with this, off-the-cuff impression: It’s a mess, it’s not too terribly original, but any Bava movie is worth watching, for the sheer artistry alone. 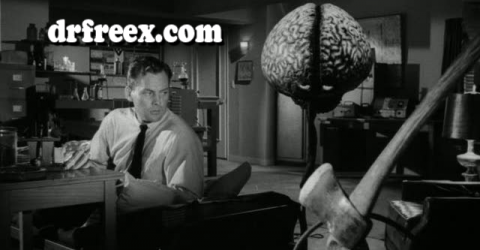 It’s possible to hit “pause” at almost any point in this movie and say, “Uh huh. 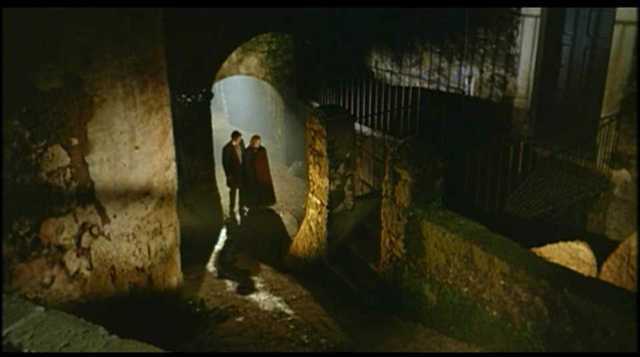 This is a Mario Bava movie.” We are talking the Platonic ideal of gothic horror setpieces here. And if you find a version that’s in its original 1.85:1 ratio, so much the better. (Amazon Prime Video has the Kino-Lorber print, which is windowboxed, but a bit soft. I have been so spoiled by the recent Bava blu-rays, it ain’t even funny).